Patricia A. Neilson is the Director of the Asian American Student Success Program (AASSP) at the University of Massachusetts Boston that is funded by the Department of Education Asian American Native American Pacific Islander Serving Institution (AANAPISI) grant. Her work has had an indelible impact on the national landscape of API-focused student services. Using an integrative model, Dr. Neilson has increased campus collaboration, bolstered academic support services and provided leadership development for API students at UMASS Boston. Simultaneously, Dr. Neilson advocates for Asian and Pacific Islander (API) students nationwide by promoting and raising awareness of the AANAPISI grant system. AANAPISIs, under the law, are institutions that serve a high percentage of API and low-income students and therefore qualify for additional grant-based funding and support from the government. 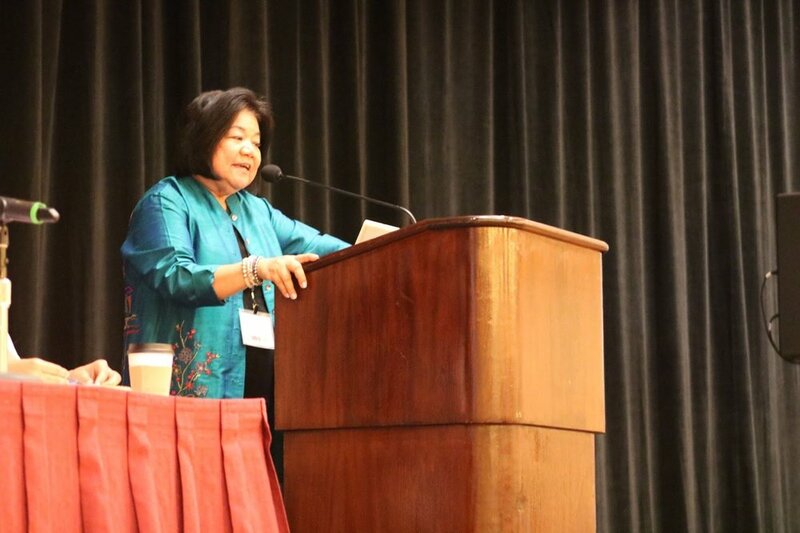 Dr. Neilson speaking at the Asian Pacific Americans in Higher Education (APAHE) conference, following her graduation from LEAP’s LDPHE program. The rising numbers of AANAPISI qualified institutions allows the AANAPISI program to maintain its existence as a source of funds for underserved API-serving institutions. Dr. Neilson serves on the national board of Asian Pacific Americans in Higher Education (APAHE) and is a graduate and continuing faculty member of LEAP’s Leadership Development Program in Higher Education (LDPHE). A mentor to promising API talent, she is also committed to increasing the representation and developing the pipeline of API senior administrators in higher education. Listen to Dr. Neilson and her colleagues discuss the challenges and rewards of acquiring AANAPISI designation and grants below. 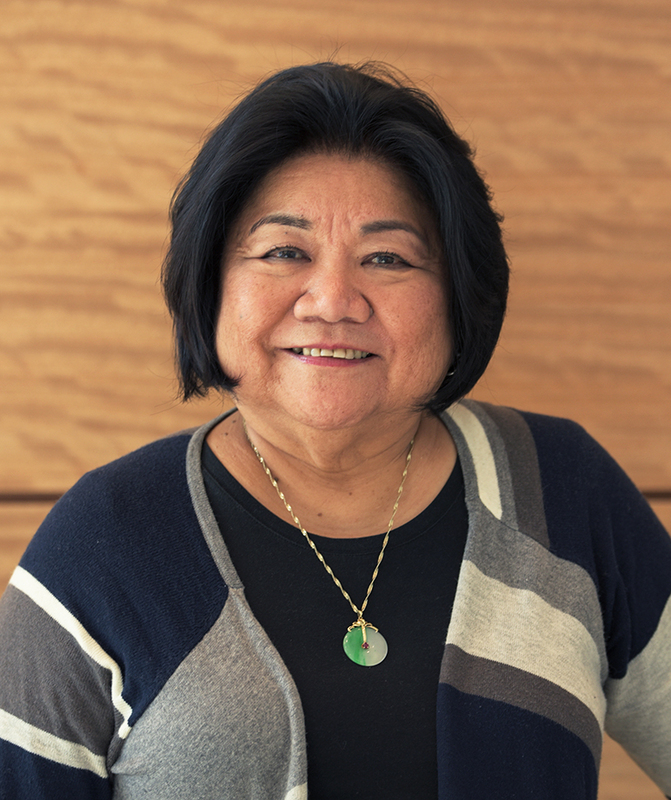 Dr. Patricia Akemi Neilson is the director of the Asian American Student Success Program (AASSP) at the University of Massachusetts Boston that is funded by the Department of Education Asian American Native American Pacific Islander Serving Institution (AANAPISI) grant. Prior to her current appointment, Dr. Neilson was the director of the Center for Collaborative Leadership in the College of Management. Before her move to UMB, Dr. Neilson was an Academic Dean at North Shore Community College located on the north shore of Boston. She is sansei Okinawan American born and raised in Honolulu, Hawaii. Her career efforts in Hawaii were based in the community working for the YMCA of Honolulu and Palama Settlement serving underserved and underrepresented communities. She received her Bachelors of Science degree in psychology from Seattle University, Masters in Public Health from the University of Hawaii Manoa and a Doctorate in Leadership Education and Administration from University of Massachusetts Boston. Her research interest in the under-representation of Asian American senior administrators in higher education led her to join national efforts to advocate for the development of pipelines for this talent. She serves on the national board of Asian Pacific Americans in Higher Education (APAHE) and mentors promising APAs and has served as a faculty member in the Leadership Development Program in Higher Education (LDPHE). Dr. Neilson’s family include her husband of 45 years, Joey, three daughters, Heather (Jeremy), Cindie, and Amanda (Scott) and four grandchildren, Judah, Bram, Clara and Louie. For more information on the event or tickets, visit www.leap.org/celebration or contact Mayta Lor at mlor@leap.org.